Do you wake up in the morning tired and grouchy in spite of a full night of sleep? Does your partner complain about your snores often? If the answer to these question is a ‘yes’ it may be time to get yourself checked by a sleep specialist as these are the two most common signs of sleep apnea. Sleep apnea affects more than 3 in 10 men and 2 in 10 women. Sleep apnea is a serious sleep disorder in which breathing repeatedly stops and starts during sleep. Many people are not even aware of these breathing pauses that occur hundreds of times during the night and alter their natural sleeping rhythm. In some cases that can happen over 30 times an hour and you may not even know it. So, if you wake up tired day after day, there may be cause for concern. Obstructive sleep apnea is the most common type of this sleep disorder. You develop this type of sleep apnea when the soft tissue at the back of the throat relaxes and blocks the air passage until the airways open, often with a loud choking or gasping sound. You gasp when you start breathing again. People suffering from this disorder tend to snore loudly. This sleep disorder occurs when the brain does not send proper signals to the muscles to control breathing. Many people suffering from Central sleep apnea also suffer from other diseases like hypothyroidism, congestive heart failure, brain disease and stroke. People with this sleep apnea rarely snore. It is a combination of both obstructive & central sleep apnea. Loud snoring is one of the most common signs of sleep apnea. Partial blockage of air passage causes this. Many people are not even aware that they snore. While snoring is a sign of sleep apnea, it does not mean that all people who snore have this disorder. However, if your snoring is loud and disruptive and you snore every night, it may be a sign of this disorder. Gasping is one of the most worrisome symptoms of sleep apnea that makes most people rush to the doctor. You tend to gasp when you stop breathing for a few seconds and wake up because of that. In obstructive sleep apnea, the fatty tissue of the throat and tongue become relaxed and obstruct the airway. This obstruction causes you to stop breathing in your sleep. Numerous times when you wake up gasping, you don’t even realize that you partially woke and you go back to sleep immediately. You may think you have had a full night of sleep, but actually, all the interruptions in your sleep are affecting your health. Excessive daytime sleepiness and fatigue are the most common (and overlooked) signs of sleep apnea. If you are tired all day long, feel a frequent need to nap and even doze off during the day without realizing, it means that you did not get enough deep sleep. Instead, you were jolted in and out of sleep all through the night. Those suffering from this sleeping disorder, frequently wake up with a pounding headache. When you stop breathing during the night, the supply of oxygen to your brain is reduced. This low level of oxygen leads to widening of the blood vessels and can cause vascular headaches. Usually, if you wake up with aching jaw or teeth, you may rush to the dentist. Interestingly, these symptoms can also be a sign of sleep apnea. This happens because you may be straining your muscles to get more air when your breathing stops during the night. Does your mouth feel dry when you wake up? This may be because you are sleeping with your mouth open. Some people do sleep with their mouth open when their nasal passages are blocked when they catch a cold. However, if you feel the need to have a glass full of water as soon as you wake up even though you do not have a cold, it could be linked to this sleeping disorder. High blood pressure is commonly linked to this sleeping disorder. As our breathing stops, our brain wakes up when it realizes that has not received adequate oxygen in the blood. This leads to a spike in blood pressure as it restricts our blood vessels to restart our system. When this happens numerous times during the night, our body gets used to having to restrict its blood vessels, and high blood pressure continues to persist during the day even though we are breathing normally. 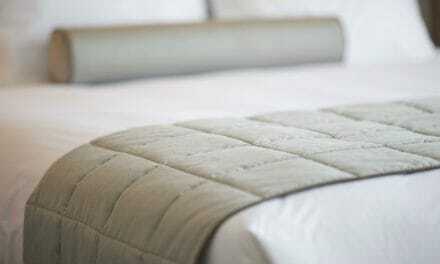 Lack of quality sleep night after night can make you irritable and short tempered. This can make you prone to mood swing and even cause depression in the long term. If you feel your mood swings and irritability is due to lack of sleep, contact a physician. Sleep apnea can affect anyone. However, certain factors can substantially increase your risk of developing this sleep disorder. Men are at a higher risk for developing this disorder. Overweight people have a higher risk of developing sleep apnea since fat deposits in the upper airway can restrict the air flow. Alcohol relaxes the throat muscles, and this narrows the air passage. If you have a family history of sleep apnea, you are at a higher risk of developing this sleep disorder. Smoking can cause fluid retention and inflammation in the upper airway. If you have observed any of the signs mentioned above, it is time to contact a sleep specialist. Sleep apnea can increase your risk for numerous other ailments like heart failure, diabetes, gastroesophageal reflux disease and even stroke. Sometimes, sleep apnea can even lead to death. 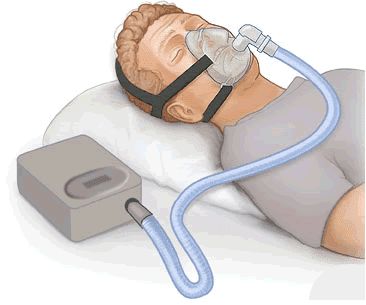 The most common method of treatment is using continuous positive airway pressure device (CPAP). CPAP is a mask that fits over the nose and mouth and blows air into the air passage to keep it open. Some other treatments include dental appliances and upper airway surgery. However, before you go for any such treatment, try making some lifestyle changes to help reduce the severity of sleep apnea. Losing weight and quitting smoking and alcohol will help reduce the symptoms of sleep apnea to a great extent. PreviousHow has Arnold Schwarzenegger’s Net Worth Evolved Over These Years?